Advocates trying to land a major U.S. Air Force contract in Macon County should know in a matter of weeks whether it's coming. Moton Field, home of the famed Tuskegee Airmen, is one of the sites in contention for an assembly plant for the next Air Force jet fighter trainer. Leonardo DRS, an affiliate of an Italian company that builds jet fighter trainers for several of America's allies, is one of the bidders for the project and chose Macon County as the plant site if it wins the contract. Joe Turnham, director of the Macon County Economic Development Authority, said Leonardo DRS and the other bidders have submitted all their information to the decision-makers at the Department of Defense and the Air Force. "Our friends at Leonardo DRS and our counterparts at the state, everyone feels like there could be a decision anywhere from around Labor Day forward, but certainly within the next several weeks," Turnham said. Capt. Hope R. Cronin, a public affairs officer for Secretary of the Air Force Heather Wilson, said she could not comment on the project except to say that an announcement is expected before the end of the fiscal year, which is Sept. 30. Officials first announced last year that Leonardo DRS was bidding for the contract and that the company had chosen Moton Field as its site. Alabama Secretary of Commerce Greg Canfield said today that Leonardo DRS remains very much in contention for the project. Leonardo DRS has stiff competition. Other bidders include Lockheed Martin, which is working with Korean Airspace Industries on the project, and Boeing, which is working with Saab. The winner is expected to build at least 350 jet fighter trainers to replace the Northrop T-38 Talon, which the Air Force has used for decades. Leonardo DRS has proposed building a new version of a jet fighter trainer it already supplies for Italy, Israel, Poland and Singapore. The company has dubbed the American version the T-100. The project would bring 750 direct jobs to Macon County plus many more spinoff jobs to the area, Turnham said. Investment would be in the billions and would pump new economic life into the area and along the Interstate 85 corridor, Turnham said. "This could be the accelerator that we need to do a lot of different things," Turnham said. TUSKEGEE, Ala. (WRBL) - We are just weeks or days away from learning if the United States Air Force will select Leonardo DRS, a global aerospace and defense contractor, to manufacture their new fleet of aircraft flight trainers at Moton Field in Macon County. If Leonardo DRS wins the bid, the economic development project will represent a multi-billion dollar economic impact for Macon County and surrounding areas, transforming the community for generations in an economic re-birth for the struggling Tuskegee area. Moton Field is known all over the world as the home of the Tuskegee Airmen; the brave and talented military pilots who fought for America while overcoming widespread racism during World War II. Now, the community and economic development leaders are hoping history lands again on the hallowed ground. "Anytime someone says how can Tuskegee pull off a project like this, I say all you have to do is flip in your history books. The spirit of the men who learned how to fly and defended Europe. 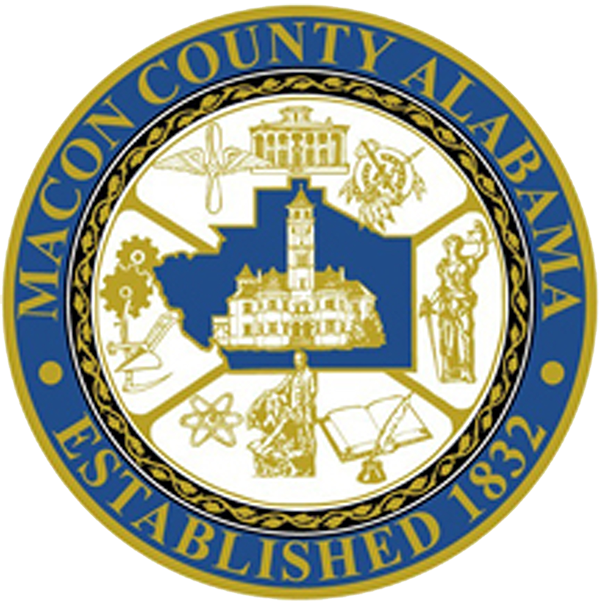 The spirit is still here in Macon County," said Joe Turnham, director of Macon County's Economic Development Authority. Any day, Tuskegee will learn if the U.S. Air Force contracts with global defense firm, Leonardo DRS to replace its fleet of the TX-Trainer Jets. Leonardo chose Moton Field out of 142 locations as their manufacturing, research, and development site. "The contract on the TX-Trainer, if it goes to T-100 in Tuskegee, is for 350 to 500 aircraft over 20 years. The low end is $16-$17 billion dollars awarded to the high end of $30-$40 billion with other allies and international orders," explained Turnham. Lockheed Martin and Boeing are still in the running. However, Turnham believes Leonardo leads because the contractor has the most proven aircraft trainer and their bid creates the most American jobs. "750 direct jobs in the plant as well as 4 to 5 times that in spinoff jobs. This would mean a gross domestic product of $303 million per year. That's a 3 billion dollar injection into the Macon County Community over ten years," said Turnham. "When We Win" is the motto behind a team of congressional, state and local leaders who've worked for years to bring this project to Moton Field and an economic re-birth to Macon County. "This would be a great way for the American government to say we honor the history and we honor your future. You can do this, and we are going to put this project in Tuskegee at Moton Field," Turnham said. Along with thousands of high paying jobs, the facility will serve as a pipeline for Tuskegee and Auburn University Aerospace students. It will pump millions almost immediately into the local economy; drastically improving schools and overall quality of life. Turnham expects to learn who the U.S. Air Force chooses within the next weeks or even days. The announcement could come as early as the Friday before Labor day or by the end of September. News 3 will keep you updated. Business Facilities, an economic development-focused publication, ranked Alabama’s business climate tops among the states in a new analysis that examined performance in several key economic categories. The publication cited Alabama’s successful recruitment of the Toyota-Mazda joint venture automobile manufacturing plant to illustrate the state’s appeal. The project, announced in January 2018, calls for a $1.6 billion investment and 4,000 new jobs in Huntsville. Besides the No. 1 ranking for Best Business Climate, Business Facilities also gave the state high marks for growth potential and workforce training. “In Alabama, they’ve nailed the economic development fundamentals — maximizing resources with regional cooperation, a diverse growth strategy, world-class workforce training — and they’re running up the score with one big-ticket project after another,” the publication writes. Business Facilities said Alabama’s business climate “is hitting on all cylinders,” citing the growth plans of GE Appliances, which is investing $115 million in an expansion in Decatur, and Amazon, which is opening a 1,500-worker fulfillment center in Bessemer. Governor Kay Ivey said the high rankings from Business Facilities confirm that Alabama is on the right track for economic growth. “I’m committed to facilitating the creation of good jobs across Alabama and expanding opportunities for the state’s hard-working citizens,” Governor Ivey said. Leonardo DRS, maker of the T-100 Trainer, went looking for a location to manufacture the new T-100. After reviewing 143 sites, they settled on Moton Field. Only a 15-minute flyover from Atlanta-Hartsfield, Moton Field is the new diamond of aerospace. Opportunities abound with 500 acres between the runway and I-85 available for aerospace development. Also on the planning board is a runway expansion to 8,000 feet with a devoted industrial taxiway and C-130 landing surface right on Interstate 85.